The Boerboel is a beautiful large breed also known as the South African Mastiff. It has rapidly spread in North America and also becomes sought-after in Europe. 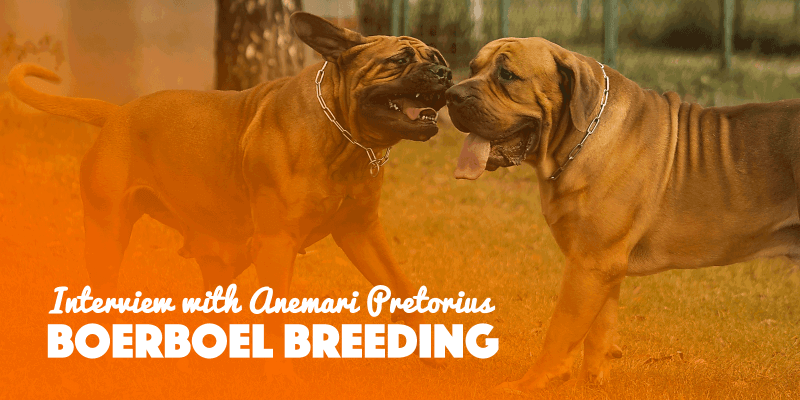 Breeding Boerboels is just like with any breed, it requires knowledge that is specific to the breed and we’ve spoken to the right person for that! 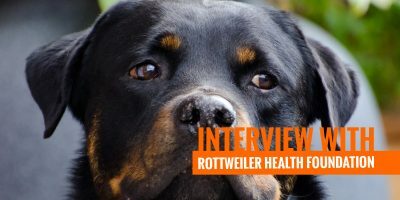 Anemarí Pretorius from the South African Boerboel Breeders’ Society was generous enough to answer our questions about the Boerboel breed, its ban in some countries and also to give advice to those who wonder how to start breeding Boerboels. The South African Boerboel Breeders’ Society is the mother body of organised representation of the Boerboel breed. It was founded in 1983. The mission of the SABBS is to serve as conduit to unite the Boerboel community worldwide. So let’s dive into the Q&A! The Boerboel is manageable, reliable, obedient and intelligent with strong protective instincts. The Boerboel is a big, strong and muscular dog with prominent and well-developed musculature over the entire body with buoyant movement – an impressive and imposing figure of strength. What has it been bred for yesterday and today? As the Boerboel is self-confident and fearless and having strong protective instincts, it was bred as a companion and family guard dog since the beginning and also nowadays because of its outstanding temperament. Boerboels have a protective temperament and are banned in several countries worldwide including Denmark, France and Qatar; do you think they are a good family breed? As I have mentioned earlier: they are the best breed to have as a family dog. 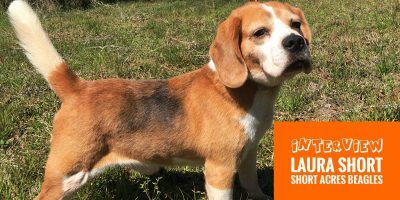 I believe that in those countries in which they have been banned, it was the result of negligence in breeding programmes, as well as dog owners that did not have the knowledge in educating their dogs. Boerboels have strong personalities and need owners that know how to educate, socialise and handle them. 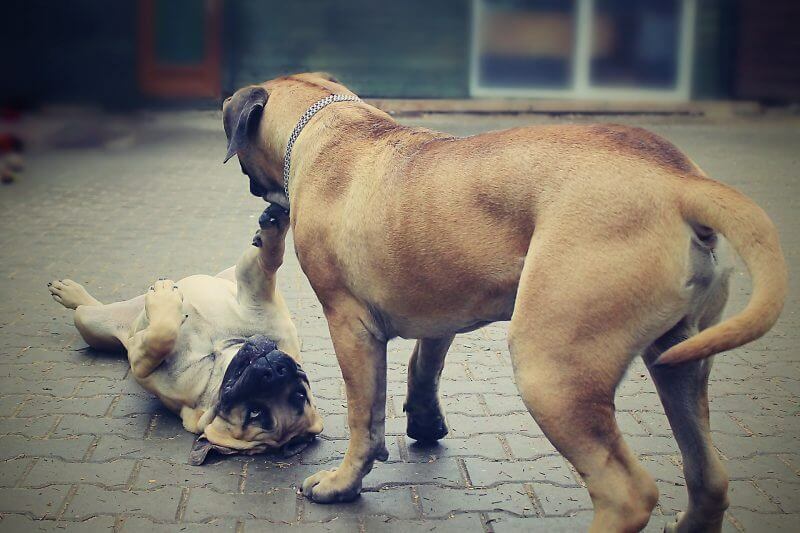 Boerboels are very playful and far from the aggressive image medias have painted of them. The Boerboel breed was only recognized by the AKC last year, in 2015. 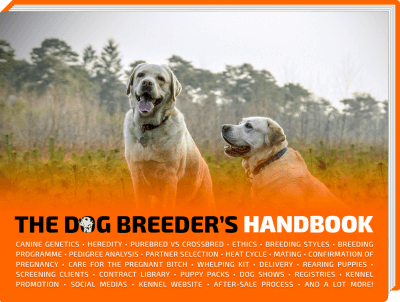 Does it change anything for the breeders who have been caring for this breed for years already? First of all you must realise that the Boerboel originated in South Africa and the breed is declared as a South African landrace. Therefore we will care and protect in the best way we can. The South African Boerboel Breeders Society has nothing to do with the American Kennel Club. The SABBS is the only legally registered Boerboel breeders society in South Africa. SABBS also works closely with SA Studbook, the only legally registered Boerboel registration authority in South Africa that has without doubt the best and biggest Boerboel database which, amongst other things, provides us with the information regarding progeny testing that helps our breeders with the selection of genetically superior Boerboels for breeding purposes in bettering the breed. 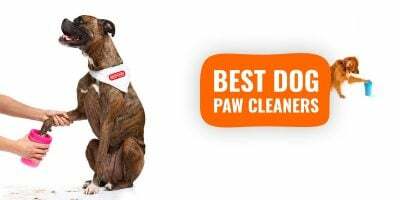 As with the American Kennel Club, we also cannot comment on Boerboel International or their Breed Improvement Schemes as we do not have any connection with them. Boerboels are a very large dog breed, they require little physical exercise. 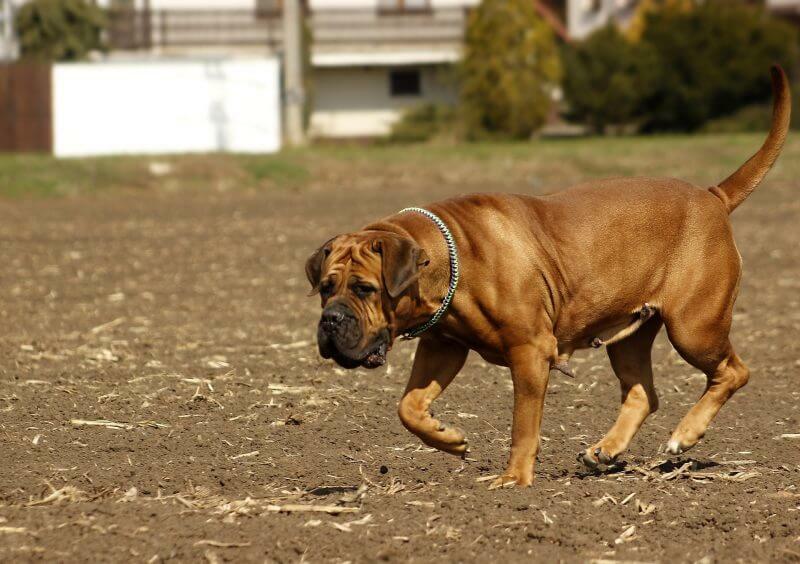 How can breeders and owners care for their Boerboel’s body, bone structure, elbows and hips? I wouldn’t say that Boerboels need “little physical exercise” since any dog needs exercise, however, a Boerboel will not get grumpy going without it as some hunting breeds do. 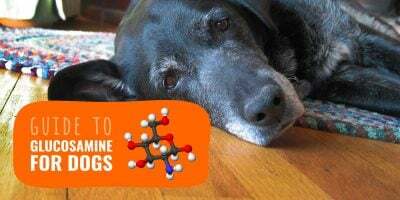 I do believe that good and well-balanced nutrition plays a big role in caring for a growing dog especially when you think of the development of the young frame construction. However, good nutrition will not “build” a champion dog if it is not in its genes. Saying that, elbows and hips tend to be bad if the parents’ elbows and hips were bad. Elbows and hips can also be damaged by growing up on slippery floors or jumping from high heights – like in and out of a truck, or up and down a staircase. Boerboels have a big frame and special care must be given during growth to avoid issues at a later stage in life. 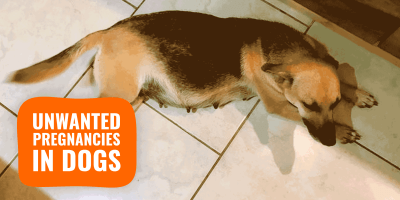 Recently, juvenile epilepsy seems to have appeared in the breed. What are your recommendations to slow its progression? I am not aware of epilepsy in South Africa. If it would exist, it would be such little occurrences that it is not mentioned. However, saying that, breeding dogs that should tend to produce such progeny should immediately be taken out of breeding programmes. With your experience, what are the top three mistakes Boerboels breeders make the most? Not selecting breeding dogs regarding temperament; the breed standard; conformation; hereditary diseases; not screening them for hips, elbows and eye diseases and to sell to any buyer and not screening them as to see if they are the right people to own a Boerboel. Any tips for newcomers wanting to breed Boerboels? 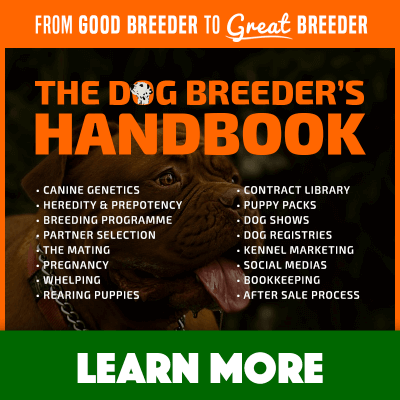 Wanting to start breeding any breed that you are unfamiliar with, you have to make a study of what the dog was bred for originally; study and know the breed standard by heart; attend appraisal days to see how they behave and react – what type of dog it really is; and breed with dogs with sound temperaments. I think the mentality to always have on top of our mind is to try and better the breed – breed better than what the parents are and not just to multiply. And this brings me to the title of your original email to me: Boerboel future. There cannot be a future for the breed if people just breed with what they have and not keep the abovementioned points in mind. Future to me means bettering the breed – not changing the original dog. Unfortunately the breed has changed beyond belief under the auspices of the Sabbs. The Sabbs was founded founded a few years ago, not in 1983. @ James, yes you are correct SABBS of 1983 was “renamed” from SABBA to that; as it grew worldwide and needed to have the name to support, among other issues. Meaning it went from South African Boerboel Breeders Association to South African Boerboel Breeders Society. And frankly it existed a few years prior to that, but did not have the formalities as it did and now.